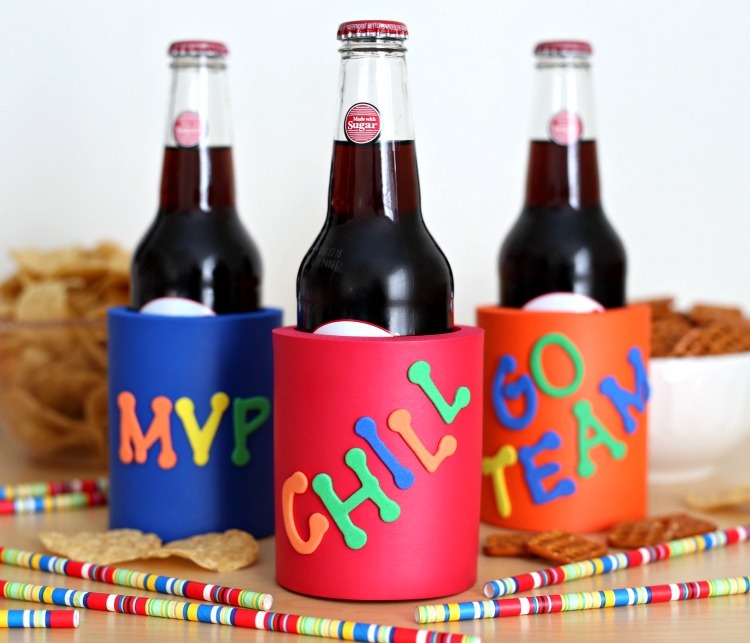 Decorate your own koozies with this fun and easy craft project – Perfect for your Super Bowl Party! Hosting a Super Bowl party? 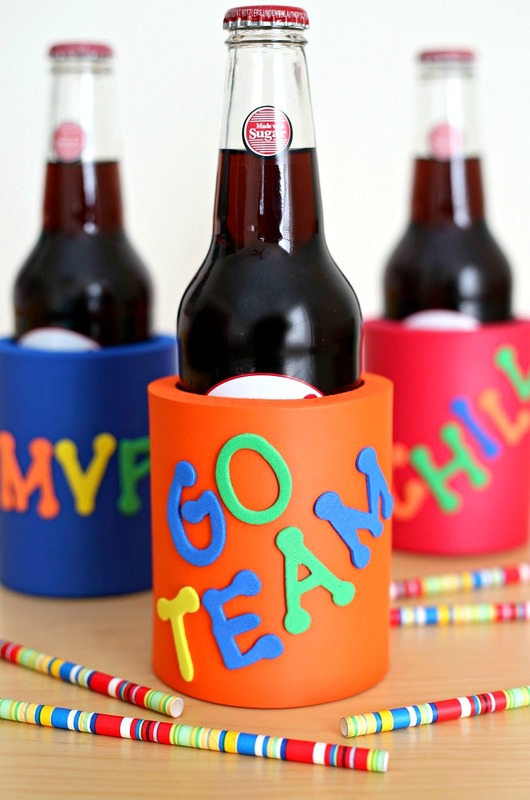 I’ve got one of the easiest craft projects for you today that is perfect for the big game coming up. 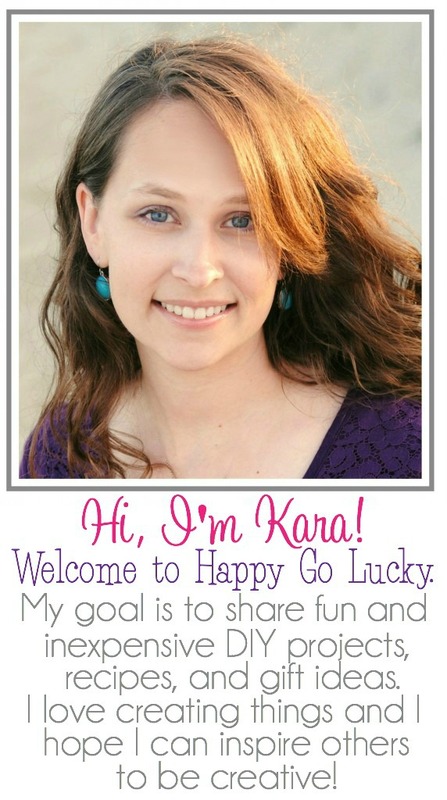 They’re so easy and fun that you can do them for any party that you’re hosting. My husband is a huge football fan. And, when I say huge, I mean HUGE! Every Sunday during football season is Game Day which is great for me because that’s when I work on most of my craft projects. We also host a Super Bowl party every year. It’s the perfect excuse to hang out with friends, eat lots of tasty food, watch fun commercials – and watch the game. But, when you have people over, we always run into one problem – who’s drink belongs to who? Well, I’m solving that problem today with this simple project. We’re going to decorate our own koozies with stickers so we can always identify our own drinks. 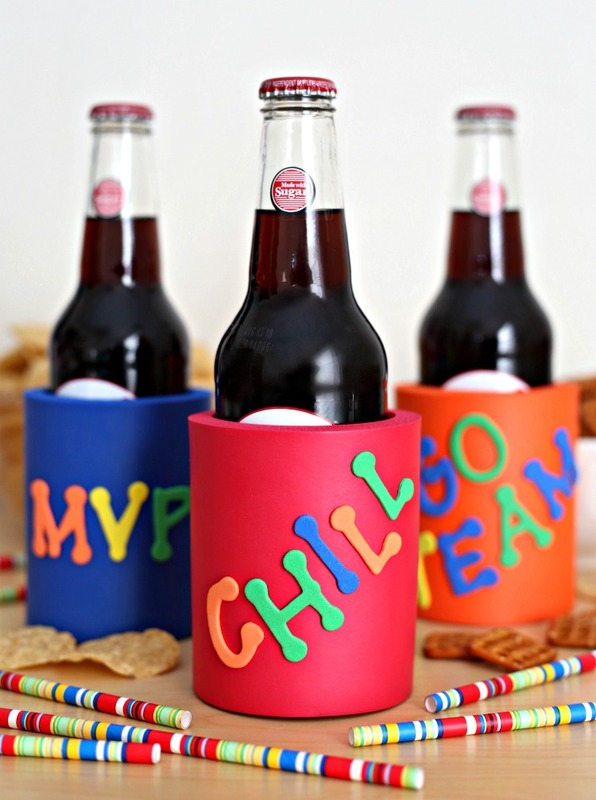 This is easy – just choose your words and stick them right onto the koozie. Add your drink and you’re ready to chill. 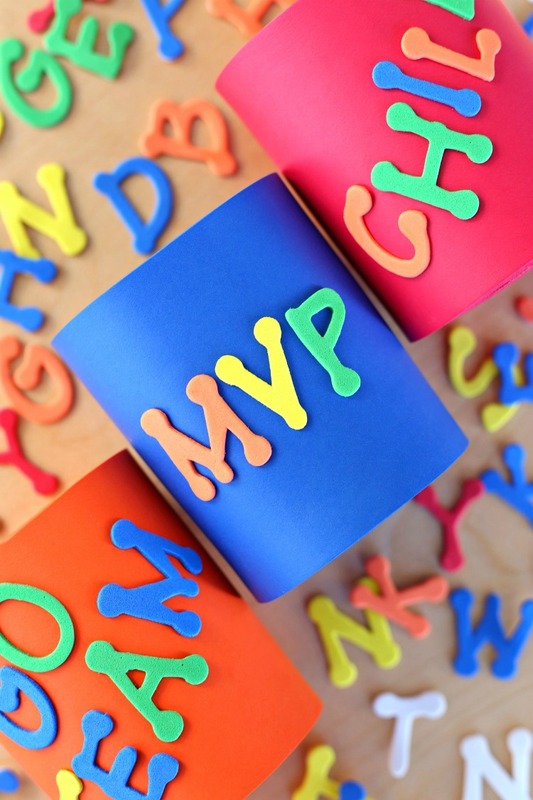 Be the MVP of the party with this fun and simple craft project. Your guests will thank you for helping them know which drink belongs to them. Don’t you just love an easy project? I also like that this gives people something fun to do while they’re hanging out. I always like to have something for the guests to do – I guess it’s the crafter in me. Plus, everyone has a cute favor to take home with them when the party is over. The ideas are endless when it comes to this fun project. 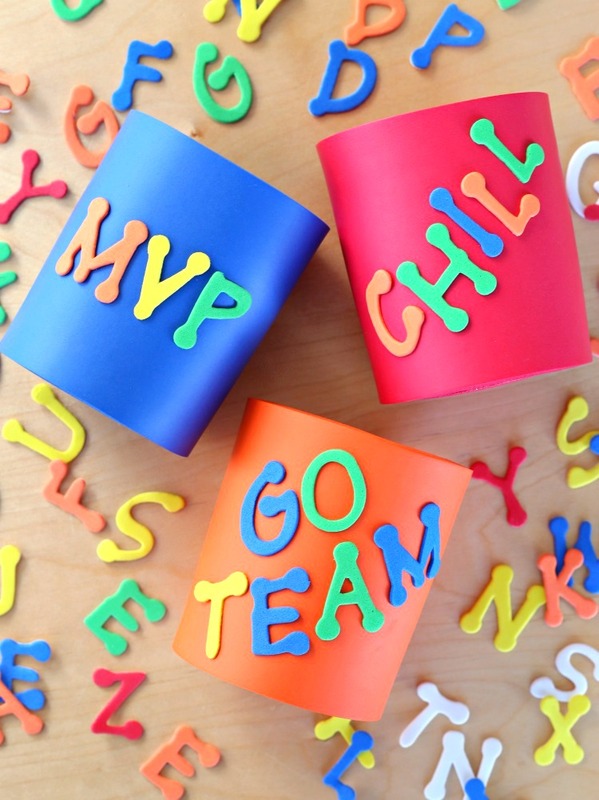 Just grab your koozies, and foam letters and let your creativity run wild. You can even use other stickers to match your occasion. These would also be perfect for a child’s birthday party. 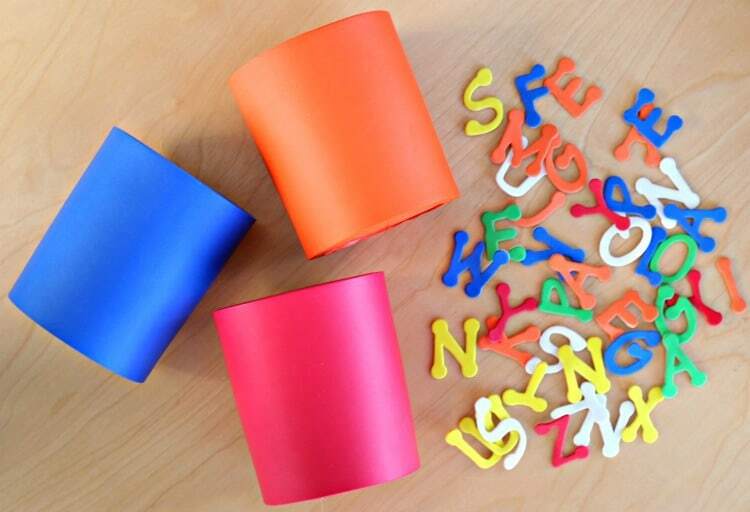 I think kids would love this easy craft.